Four and a half centuries is a long time for Unitarians and Unitarian Universalists. Many UU congregations view the 1980s as the distant past, and anything before the Unitarian and Universalist consolidation in 1961 as ancient history. Even our nineteenth-century American forebears are more often understood as interesting or quaint characters. We reference their best qualities when the authority of an ancestor is sought, take inspiration from courage they displayed, or try to learn from their flaws, but almost always their experience feels quite distant from current Unitarian Universalism. And yet, in 2018 we’re invited to reach back even further in history and to a different continent—to 1568 in Eastern Europe—to mark the 450th anniversary of a landmark in religious freedom. Torda450 offers a collection of resources to help your congregation hold an Edict of Torda anniversary worship service, find anniversary celebrations around the world, follow a yearlong theological dialogue, and explore pilgrimage opportunities related to the anniversary. There are also links to historical writings and other resources that offer further context. Torda450 was produced by the UU International Joint Working Group, which consists of senior staff of the International Council of Unitarians and Universalists, the International Office of the UUA, and the UU Partner Church Council. The sixteenth century was a laboratory for religious reformation in Europe, succeeding in the establishment of Lutheran, Anglican, and Reformed variations of Christianity in many countries and municipalities. But our Unitarian and Universalist traditions find closer affinity to radical reformers who were unsatisfied with these results and pressed for further changes in theology, practice, and authority. In Transylvania, these radical reformers found traction. The reigning monarch, Zsigmond János (John Sigismund) took interest in further reform and supported a series of theological debates during the 1560s. Close at hand was his court physician, Giorgio Biandrata (George Biandrata) who was also a supporter of radical religious reform and familiar with the antitrinitarian writings of Miguel Serveto (Michael Servetus) and Italian theologians earlier in the century. With Biandrata’s influence, the king welcomed another radical reformer, Dávid Ferenc (Francis Dávid), to be his court preacher. In every place the preachers shall preach and explain the Gospel each according to his (sic) understanding of it, and if the congregation like it, well. If not, no one shall compel them for their souls would not be satisfied, but they shall be permitted to keep a preacher whose teaching they approve . . . no one shall be reviled for his (sic) religion by anyone . . . and it is not permitted that anyone should threaten anyone else by imprisonment. . . . For faith is the gift of God. . . . There is so much that the Edict of Torda points to that our tradition continues to rely upon: the grounding commitment that faith is not endowed with purpose by governments or empires, but by the Sacred, the Holy; that a free pulpit and a free pew are necessities for free religious communities; even the stirrings of our commitment to resist authoritarianism as a religious practice is signaled in the Edict. This anniversary is an opportunity to look back and remember foundations and commitments that can be touchstones for the faithful struggle ahead. The Edict of Torda is one of those reliable sources of power and inspiration. There is no need to romanticize history though. It is clear to twenty-first-century UUs that the Edict of Torda did not go far enough, but it was an important step on a pathway of reform and freedom that continues today. Radical in its time—he was martyred for his steadfast commitment to the work of unending reformation—Dávid’s particular commitment provides inspiration, not a destination, in our own. Beyond these matters of faith and practice, the anniversary of the Edict of Torda calls American Unitarian Universalists to know themselves better by celebrating the history of the world’s first Unitarian churches. Our international partners in Transylvania, Hungary, and around the world understand the Edict as their moment of birth and establishment, as a basic part of their spiritual DNA. Let us take this anniversary as a chance to understand our partners and our history more completely, to celebrate the radical reform spirit that is at the basis of the Edict of Torda, and to translate that spirit into lives and ministries of purpose today. The Rev. 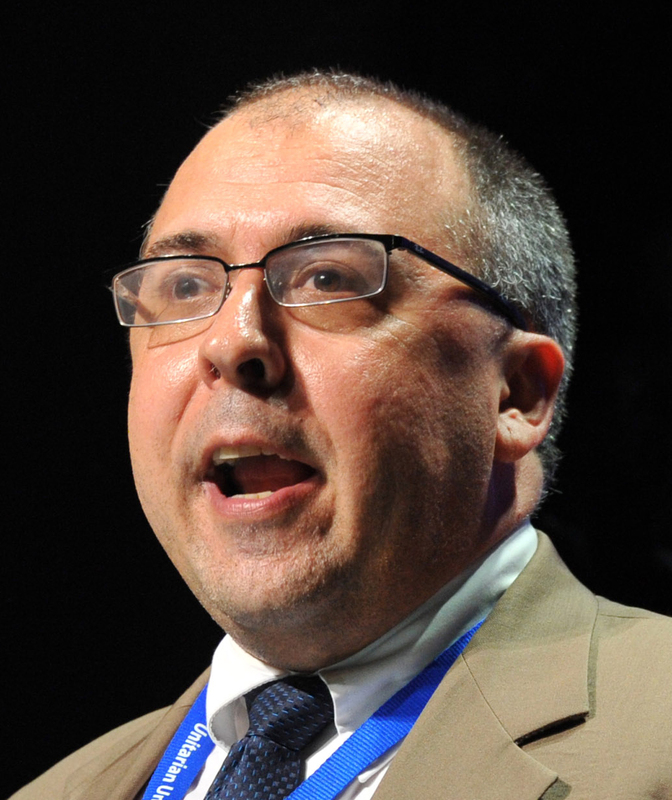 Eric Cherry has been director of the UUA’s International Office since August 2007. He is a lifelong UU.